Thank you so much for spending time on the Love Cake Create blog. Here is a roundup of frequently asked questions. If you have a question that isn’t answered here, feel free to send me an email or message on Facebook. 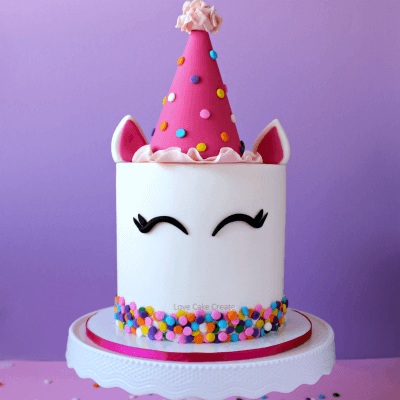 Why did you start the Love Cake Create blog? Essentially, I love helping others. I want everyone to be able to make a cake for their loved one that they’re proud of. 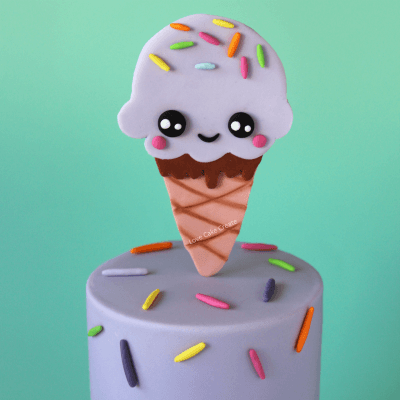 I also thought a blog would be the perfect place to share my cake decorating tutorials. While I don’t have all the answers, I’m happy to share what I do know. 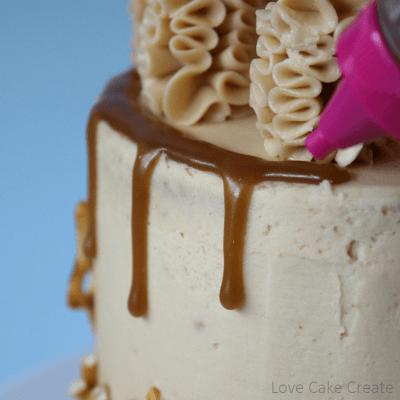 How did you come up with the name Love Cake Create? It took me years to settle on a name that I loved. In the end, it was pretty simple. I love cake and I love to create. Once I saw those three words together, BAM! Love Cake Create was born. Did you go to pastry school? No. Everything I know I learned through trial and error over many years. In the beginning I attended a cake class to learn the fundamentals of ganaching a cake and covering it in fondant; I also attended a gumpaste peony class. I love designing cakes. If I’m working with a particular theme, I browse other cakes in that same theme briefly, but I don’t get too fixated on what everyone else is doing. I broaden the search to include textures, fabrics and patterns that can be made into fondant effects. 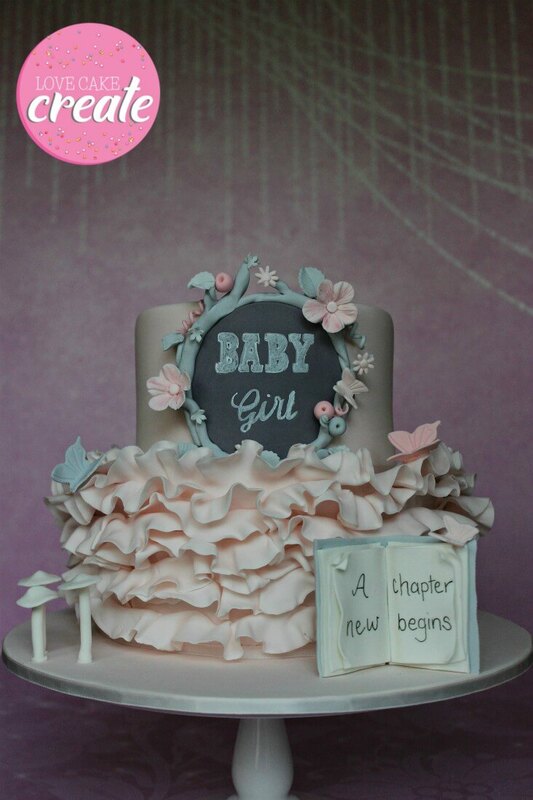 Last year I had a cake where the brief was an Enchanted Forest baby shower cake in a pink and grey colour scheme. Since the mum-to-be was a teacher, it had to include a book. If you try typing that into Google, you’ll see how many other cakes appear. None! There were plenty of enchanted forest cakes featuring wood stumps and fairies, but none that closely resembled my brief so I had to think outside of the box. To me, an enchanted forest meant lush, abundant foliage so I created fluffy fondant ruffles for the bottom tier with a few butterflies and toadstools. For the top tier I created a floral branch garland which framed some chalkboard effect lettering – did you pick up on it? Teacher = chalkboard! I was still trying to figure out the book part, but in the end a small fondant book perched on the ruffles was perfect. This is how it turned out. Can I use your tutorials/recipes on my blog or website? Absolutely, please do! I would love you to share my tutorials and recipes with your readers. 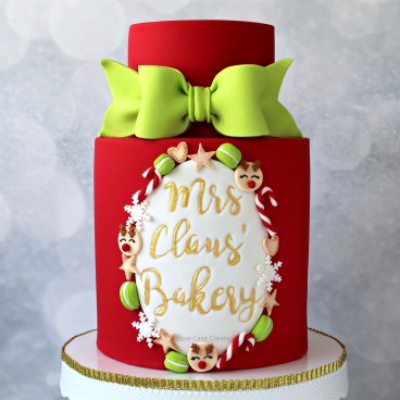 In keeping with copyright laws, please link it back to my original blog post AND Love Cake Create’s homepage. 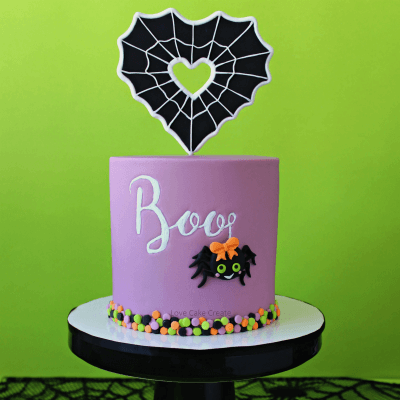 For example: This is an awesome tutorial for a Halloween Confetti Cake from Caroline at Love Cake Create. You can adapt my recipes by putting them in your own words and adding in your own creative flair (not flat out copying). I would appreciate you linking back to the original post and Love Cake Create’s homepage as above. Do you take all of the pictures on your blog? Yep, 100%. I’m not a professional photographer by any means, that’s something I’m working on. If you would like to use one of my photos, please contact me first. Do you write all the content on your blog? I sure do. It’s worth mentioning that I’m not a writer so there is bound to be the odd typo or grammatical error. I spend a lot of time proof reading a post and every now and then an error will pop up after I’ve hit ‘publish’. Dang! Since I spend so much time writing my own content, please do not cut and paste my work and pass it off as your own – I will happily report you to the relevant online authorities. It takes me days to create cakes, take photos, edit photos, watermark them and write the tutorial so please do not steal my hard earned work. Why didn’t this recipe work for me? I’m so sorry to hear that your recipe didn’t turn out as planned. I only share recipes that I love and have been extensively tested so I’m sad yours didn’t turn out. Sometimes a recipe may differ due to factors such as oven temperature, temperature of ingredients, measuring technique or conversions and even the weather. (humidity has a lot to answer for!). Check in the comments section of the post to see if anyone else has experienced the same issue. If other people have made the recipe, they tend to leave feedback about their experience with it. I love using Bakels Pettinice fondant so if you’re using a different brand and it’s behaving badly, it’s a little hard for me to troubleshoot. Most of your recipes are in grams, can you convert them for me? Volume measurements tend to be inconsistent, so rather than measuring out your ingredients in cups, I would suggest investing in a set of digital scales which is much more accurate. There are lots of free measurement converters online. If I share a recipe and I have the grams and cups measurements, I will add both to the recipe. What the heck is caster sugar? It’s basically superfine sugar. If you don’t have it available in your local store, you can add granulated sugar to the blender and pulse until it reaches a superfine consistency. Don’t pulse it so much that it turns into a powdery consistency though, otherwise you’ve just made icing sugar – or powdered sugar, depending on where you live! Can I substitute ingredients in your recipe? Unfortunately I can’t guarantee that substituting an ingredient will have the same outcome as mine. I only test my recipes as they are outlined in the post. If you choose to substitute ingredients and it was a great success, feel free to leave a comment on the post to let me know! Do you take cake orders? No, I do not accept any baking or decorating orders. This is a happy and encouraging blog for all readers. If your comment comes across as rude or negative, especially towards other readers, I will delete it. Same goes for anything spammy. Do you work with brands or companies? While I’m not collaborating with brands at the moment, I look forward working with them in the future. 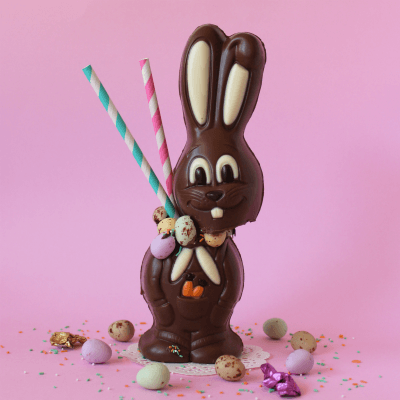 Contact me directly at hello (at) lovecakecreate (dot) com (dot) au to discuss further. The best way to to send me an email at hello (at) lovecakecreate (dot) com (dot) au or through the Love Cake Create facebook page.